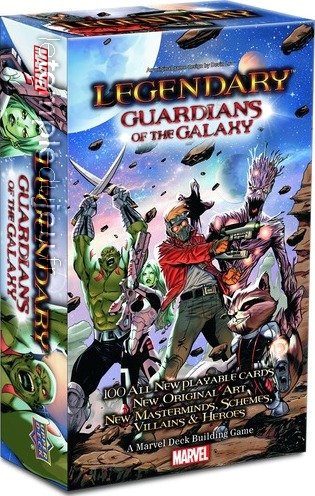 Cette extension de 100 nouvelles cartes pour le jeu LEGENDARY contient : 5 Guardians of the Galaxy : Star-Lord, Rocket Raccoon, Groot, Gamora et Drax the Destroyer 2 Masterminds : Supreme Intelligence of the Kree et Thanos 2 groupes de Villains : Kree Starforce et Infinity Gems 4 Schemes : Unite the Shards, Forge the Infinity Gauntlet, Intergalactic Kree Nega-Bomb et The Kree-Skrull War 18 ... <lire la suite>. ATTENTION ! Ceci est une extension pour MARVEL LEGENDARY DECK BUILDING !